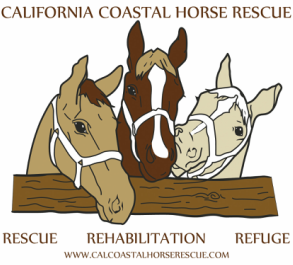 California Coastal Horse Rescue rescues and offers refuge to surrendered, neglected or abandoned horses of all ages and breeds. However, the number of horses we can physically care for at our ranch is limited. If we are unable to accommodate a horse, we will help you to network your horse by sending the information to other rescues and/or individuals who may be able to help. 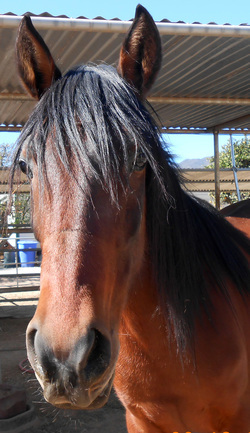 In this type of situation, CCHR does not take the horse into its care but facilitates the potential communication process between the current owner and the new owner as they work together in order to get the horse to a safe new home or facility. Health - Is the horse is in good health? Does the horse need or currently under veterinary care, including dental care, medications/supplements? Does the horse have any lameness issues, etc.? Current hoof/farrier care - shoes, no shoes, any type of specialized farrier treatment? Temperament of horse - Bombproof? Very high spirited? Or somewhere in between?